Elizabeth has her very first Highland Dance exam coming up at the end of this month and her kilt arrived today. It’s a little bit long and I’m not keen to take up the hem because there are so many pleats at the back. Maybe I can put her on a stretching rack instead? That seems easier. What should I do? Will they disqualify her if the kilt is too long? I’m just an ignorant Australian. She looks adorable. Her Gran made the vest. Posted in Journal and tagged costume, dancing, Highland Dancing, kilt, Scotland, Scottish. Bookmark the permalink. She looks like a little you. I don’t think the Highland Dance outfit has changed much since Victorian times so that’s a fair comment. I would surely sprain an ankle doing that! Love the kilt. I think she’s okay re the length of her kilt. 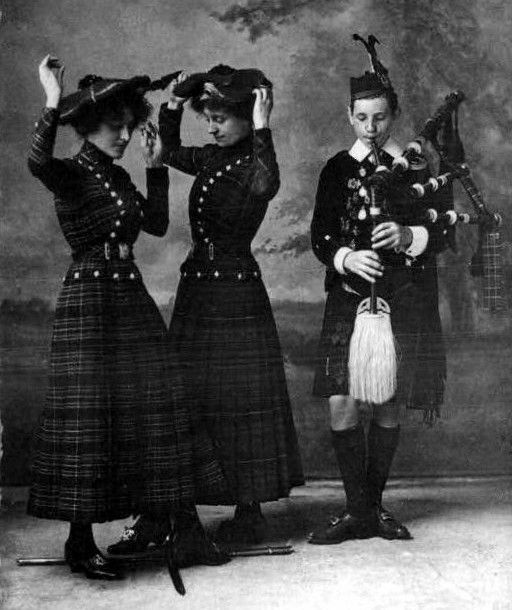 I was told years ago that the shorter kilt became popular after WWII partly because modern skirts became shorter as well, and some Highland dancers liked the “flounce” they got from a short kilt. I don’t know much more than that, whether judges look for a short kilt, or maybe it doesn’t matter anymore. I’m sure Elizabeth will impress them all! Bonne chance! It’s meant to reach the top of the knee so I think it’s only a fraction too long. Someone suggested I get braces to hold the skirt up a bit so I’m going to do that.